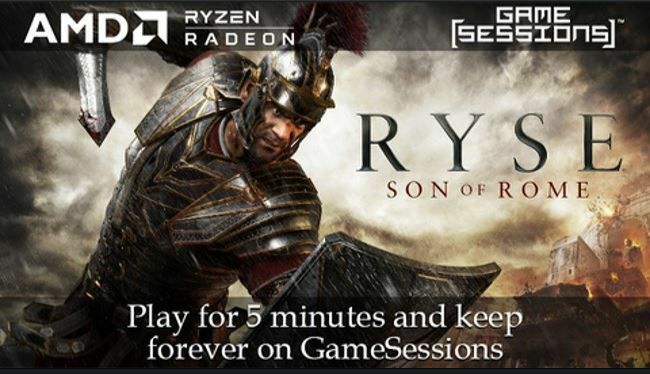 GameSessions is now offering a free copy of RYSE: Son of Rome game. RYSE: Son of Rome is now available for free from GameSessions. Crytek’s visually impressive title, Ryse: Son of Rome is a third-person action-adventure hack and slash video game developed by Crytek and published by Microsoft Studios. The game follows Marius Titus on a heroic quest to avenge the death of his family, and preserve the honor of Rome. The game is available for free for limited time only. Also, RYSE: Son of Rome game size is around 30GB. Download the game and play for 5 minutes and it will be yours permanently. Please note that the game will not be added to your Steam &/or GOG library. GameSessions Giveaways is a new offer, supported by brand partners and sponsors, that will showcase great games and introduce new users to the GameSessions trials service. GameSessions trials allows gamers to play a wide range of games for free on their own PC with the option to buy the full title in-game and play on instantly through Steam, without losing their progress.